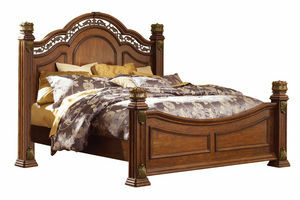 The Maletto Collection will bring a touch of classic elegance to your bedroom. 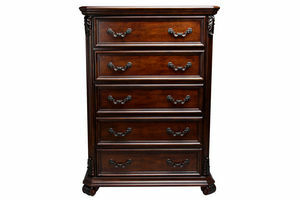 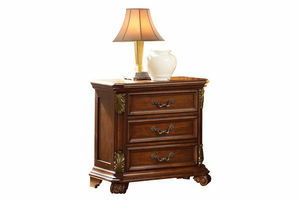 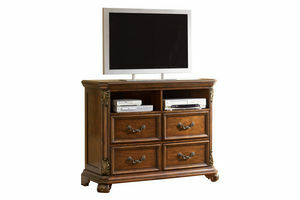 This collection is superbly crafted with select hardwood solids and veneers in a rich brown cognac finish. 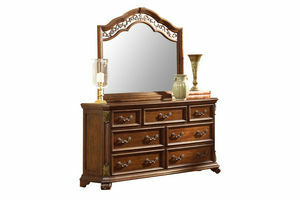 Intricately carved wood detailing and a metal filigree pattern make this collection unique. 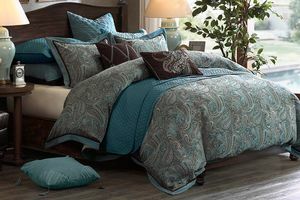 Also available in a dove grey finish (Messina Collection).